We are glad you decided to join us to pursue your educational goals. Becoming a student at GHC is easy! GHC provides an excellent education at an affordable price. You can accomplish your objectives for a fraction of the amount it would cost at a four-year college or university or other for-profit technical colleges. Becoming a student at GHC only takes a few steps! Whether you're a new student, transfer student, or returning student, the admission process is made easy and simple for you. 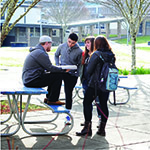 Grays Harbor College provides a comprehensive student financial aid program to eligible students. Financial aid is designed to provide assistance when student resources are insufficient in meeting the cost of going to college. 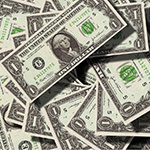 Financial aid programs include grants, scholarships, student employment (work-study), and loans. Applying for financial aid has never been easier, so get started today! You can call or text us at 360-538-4026. We can also be reached by email at admissions@ghc.edu.